I like to update the girl’s bookshelf with the season. 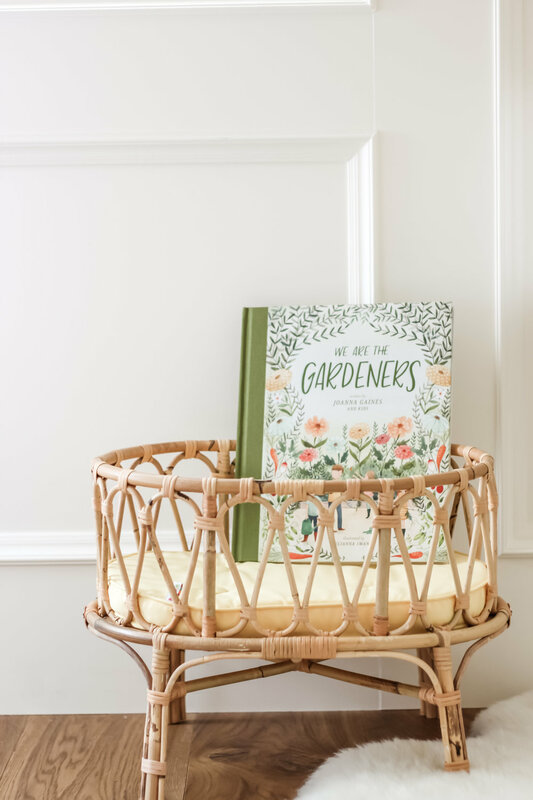 This time I went with a garden theme, since we are doing a lot of gardening and planting around here and they’re learning about taking care of our flowers inside and out. After lots of shopping around and combing through online book stores, I found these 4 to add to my collection. I think it’s fair to say everyone loves a little Joanna Gaines sprinkled around their house. 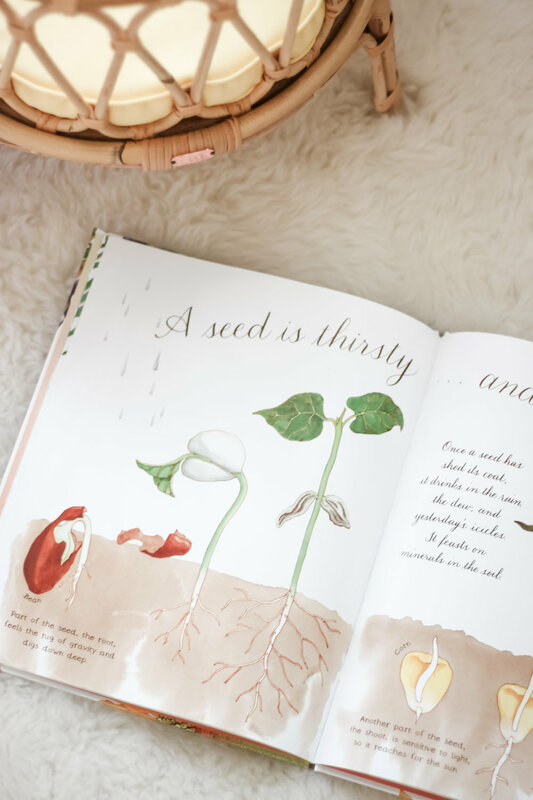 We Are the Gardeners is her first foray into children’s books. 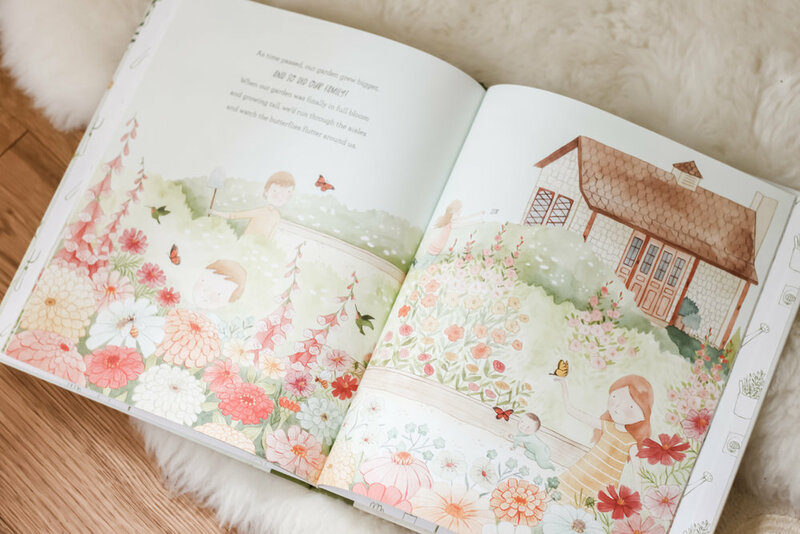 It is beautifully illustrated and feels like a very personal story for their family. I even want her house in it’s cartoon form!! 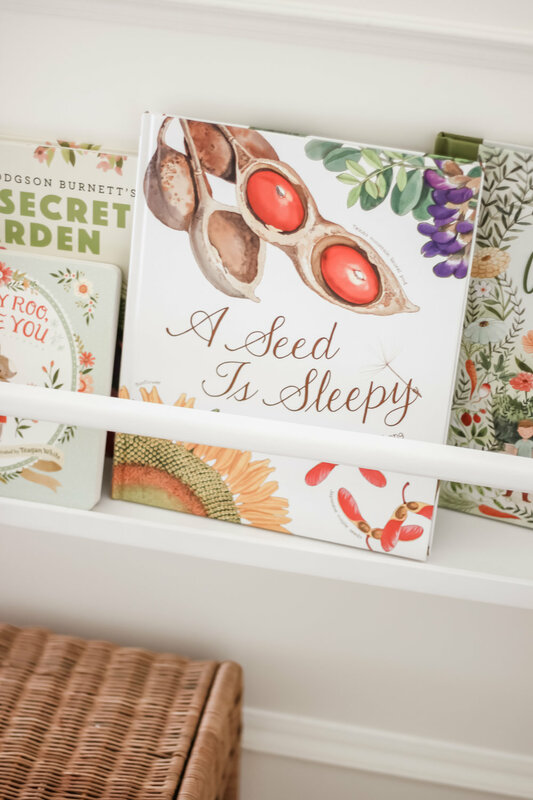 A Seed is Sleepy is one of a series of gorgeous nature related picture books. 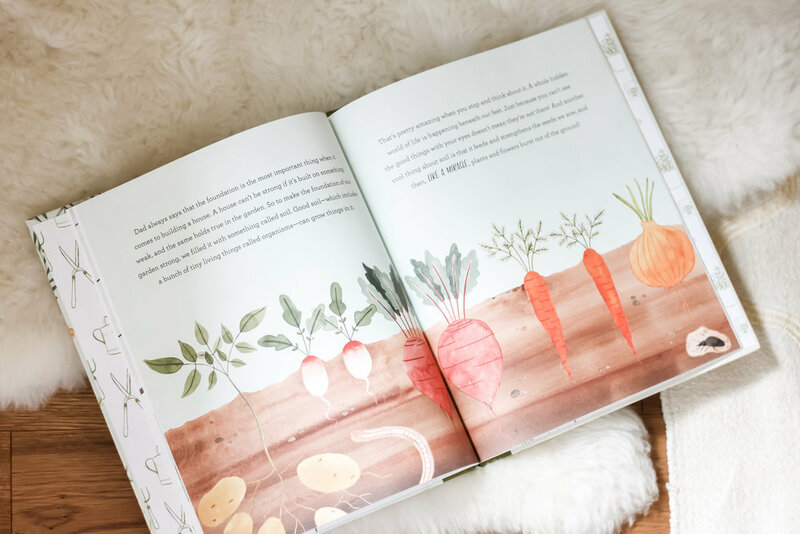 Another paper page book - best for older kids or little ones that delicate with their books. I’m lucky that Louella always was… Sabine… is not so much. So we make sure these stay on the shelf just out of reach. 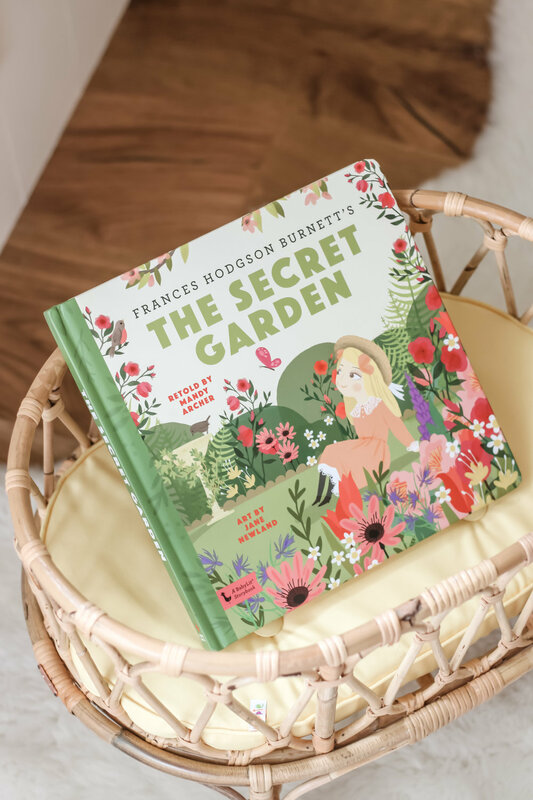 Next is a beautifully done board book children’s version of Frances Hodgson Burnett’s classic, The Secret Garden. I’m so excited to read the full novel with the girls when they are older (and watch the film!). In the mean time, this gives them a little taste. This is the perfect introduction to classic lit. Well, I officially own all of Teagan White’s illustrated stories. This is the first board book version I’ve bought. I have two that teach letters and numbers in a cute and playful way, and two others that are Christmas themed. Bunny Roo, I Love You goes well with Easter and fit right in with my garden theme. Let me know if you buy any! 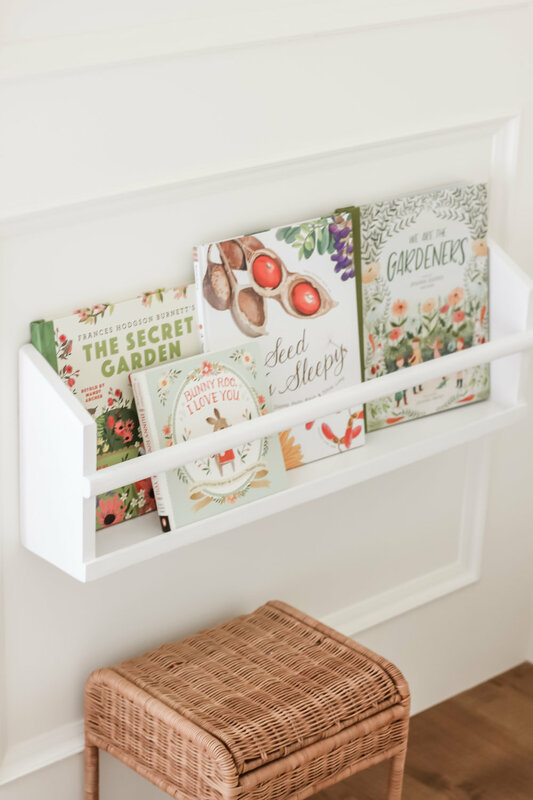 Do you also refresh your child’s book shelf seasonally? Or, for that matter, your own? Happy reading!